IN THERE - Aaron Schwab of Eureka slides into home in front of Fieldcrest's Andrew Perry. The Hornets handed the Heart of Illinois Conference host Knights a 7-0 setback on Wednesday (For the Journal/TNT Photo). JOINING FORCES – The Fieldcrest four by eight relay of Andrew Gochanour, Andy Wiesenhofer, Christian Skaggs and Ryan Gochanour took first during Saturday’s Don Gooden Invitational at Mendota (For the Journal/Carol Bauer). NEAR THE FINISH - The Eureka duo of Aden Sears (left) and Micah Senior (right) compete in the 100 during the Metamora Invitational on Saturday. Sears ended up the winner (For the Journal/Robyn Wiegand). Eureka 7, Fieldcrest 0: Brady Krile weaved a two-hit shutout and fanned 13 for the Hornets (12-2, 3-0) in Wednesday's Heart of Illinois Conference contest with the Knights, who were playing their league opener. Fieldcrest 5, Tri-Valley 3: Derek May went the distance for the Knights (5-3, 2-1) in the league game on Friday. Illini Bluffs 9, Eureka 3: Keegan Zimmerman collected a two-bagger for the Friday hosts, who saw a six-game winning streak end. T-V 3, Eureka 4: Brady Krile recorded his fourth win Monday for the HOIC hosts. Fieldcrest 0, T-V 2: Alaina Tjaden supplied half of the four hits for Fieldcrest (3-4, 1-1) in the HOIC road assignment Friday afternoon. T-V 3, Eureka 4: Jayci Swords provided three hits for the Hornets (6-5, 1-2) in the Monday tilt. Eureka 0, Olympia 15 (4): Shelby Stoner collected a hit for the Tuesday guests. The game was halted in the fourth inning by the 15-run rule. Eureka stings competition: Amy Pineda captured the 100 and long jump to power the Hornets (140 points) to the team crown at Saturday's Metamora Invitational. Job Knapp was first in the 200, as Eureka was third behind the hosts and Normal Community, respectively. 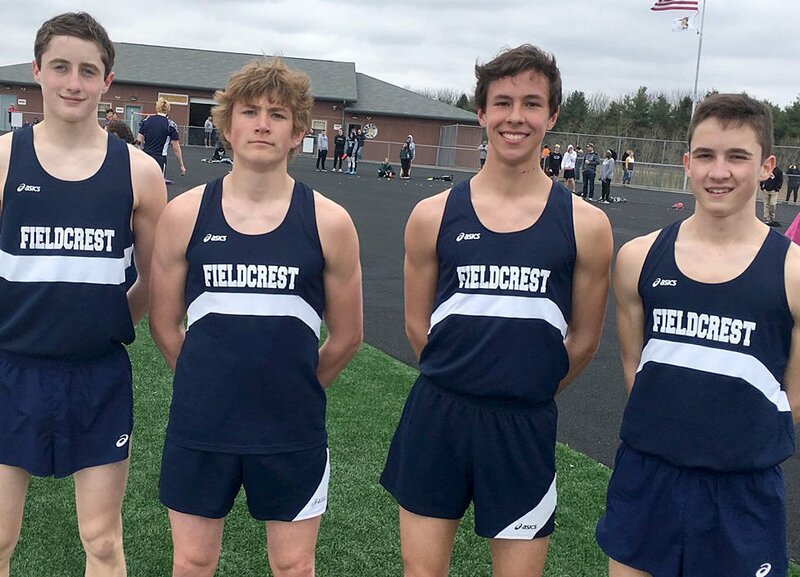 Fieldcrest quartet reaches finish line first: The four by eight relay of Andrew Gochanour, Andy Wiesenhofer, Christian Skaggs and Ryan Gochanour was victorious at the Don Gooden Invite Saturday at Mendota. Leman excels in the field: Whitney Leman of the Roanoke-Benson/Lowpoint-Washburn co-op swept the long and triple jumps in a six-team meet Tuesday at Deer Creek-Mackinaw.